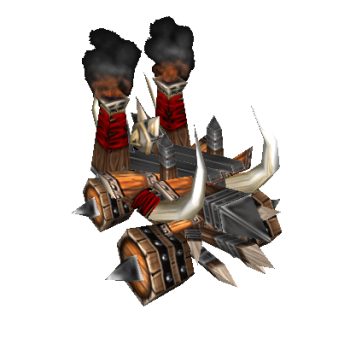 The Demolisher is a starter tank, which is more effective against ground. Since his speed is the slowest of all starter tanks and the way his abilities need to be set up to be efficient (especially the ‘Mines’), the tank is supposed to play defensive. Most importantly at the side lanes, because it is probable to get ganked by the opponents (forcing the demolisher into a 1vs2+ situation) in the case of going too offensive. Fires at an area with a burning projectile. which causes damage and stuns the unit for 1 second. Deals damage to enemies in a line. Plants a mine. which causes damage when an enemy vehicle comes within range. which gets less the farther away the target is. Sets the target enemy unit on fire. The fire spreads to other nearby enemy units. Burning units take damage and lose mana for 15 seconds.